Philomena Dorrian, Saimer Drive, Ballyshannon, Co. Donegal. Peacefully at the Sheil Hospital, Ballyshannon. Reposing at John McGee and Sons Funeral Home, Belleek Road, Ballyshannon, on Tuesday evening from 5pm until 9pm with remains going to St. jospehs Church, The Rock, Ballyshannon on Wednesday morning for 11am Funeral Mass, with burial afterwards in St. Mary’s Cemetery, Cashelard, Ballyshannon. House private please. John Mc Gee, Ardnaglass, Pettigo. Remains reposing at the home of his sister Isobel Curran, Drumherriff, Pettigo. Removal of remains this evening to arrive at St. Mary’s Church, Pettigo at 8.30pm. Funeral Mass on Monday at 11am with burial afterwards in the adjoining cemetery. Margaret O’ Keeffe, Boyle, Co. Roscommon and formerly of Artane, Dublin. Peacefully at Abbeyhaven Nursing Home, Boyle. Sister of Mary Ballantyne and sister-in-law Pat Ballantyne, Ballinafad, Boyle, Co. Sligo. 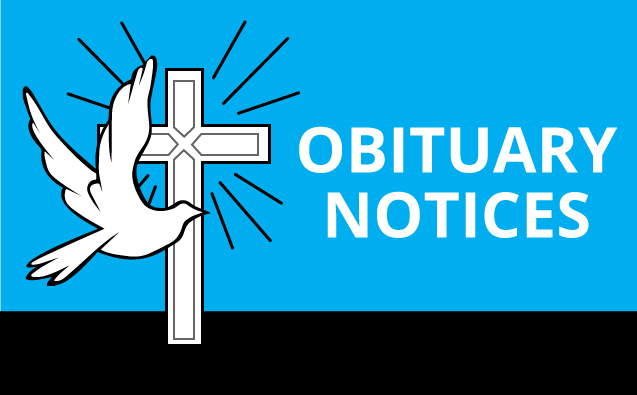 Reposing at Abbeyhaven Nursing Home, Boyle this evening from 4.30pm until 6.30pm followed by Removal to the Church of the Immaculate Conception, Ballinafad, arriving for Mass of Christian Burial at 7pm. Private burial will take place on Monday in Dublin. Anne Graglia, nee Flanagan known as Onzey, The Moorings, Church Road, Killybegs, Co. Donegal. Peacefully at Killybegs Community Hospital. Removal to St.Mary’s Church Killybegs on Monday evening for 7pm. 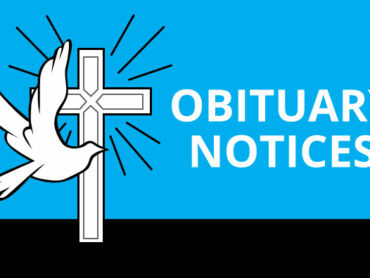 Funeral Mass on Tuesday at 11am with burial afterwards in the local cemetery. Family Flowers only please. House private.